Lend Lease’s International Towers will stand at the entrance to the Barangaroo Commercial Precinct. Comprising 300,000 m2 of general office use ASP Steel Cementitious Ultra Fix and High Pressure Laminate Rigid Grid systems, the three International Towers will showcase the latest in innovative and sustainable design. Barangaroo will be the largest access flooring project ever undertaken in Australia. 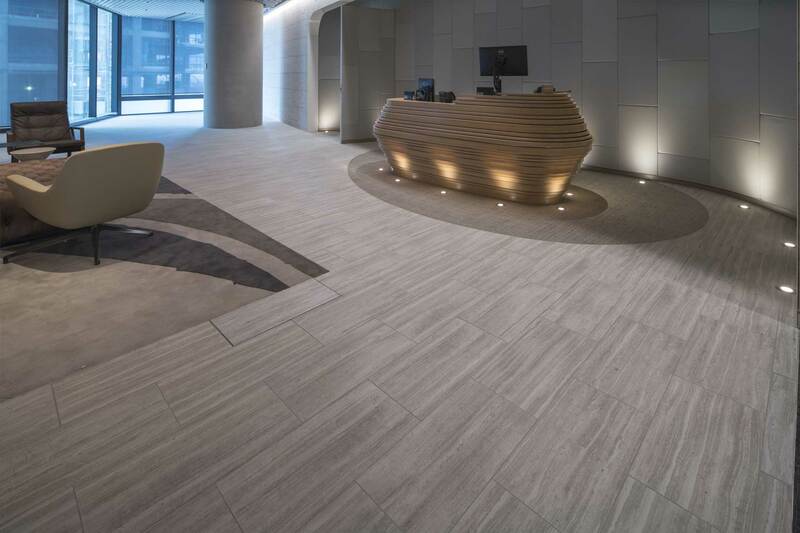 ASP Access Floors received CarboNZero and CEMARS Certification in response to the work they have undertaken with regards to Barangaroo and its environmental requirements. The designs for the International Towers Sydney were to achieve a minimum 5 Star NABERS Energy rating and 6 Star Green Star Office Design and As Built (V3) Rating. 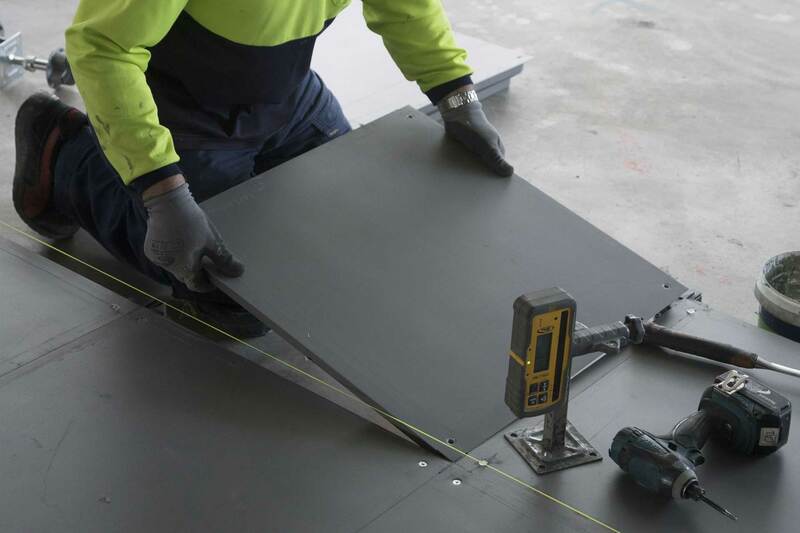 ASP are committed to working with the Green Building Council of Australia through our production of products with low VOC content and high recycled material content. 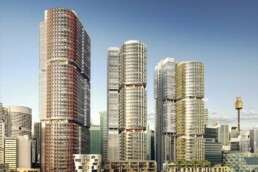 Lend Lease’s International Towers will stand at the entrance to the Barangaroo Commercial Precinct. Comprising of 300,000m2 of general office use ASP Steel Cementitious Ultra Fix and High Pressure Laminate Rigid Grid systems, the three International Towers will showcase the latest innovative and sustainable design. 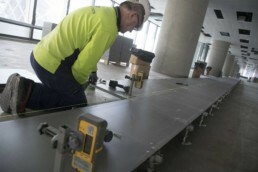 Barangaroo will be the largest access flooring project ever undertaken in Australia. 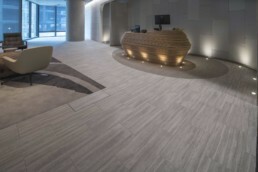 ASP Access Floors received CarboNZero and CEMARS Certification in response to the work they have undertaken with regards to Barangaroo and its environmental requirements. The designs for the International Towers Sydney were to achieve a minimum 5 Star NABERS Energy rating and 6 Star Green Star Office Design and As Built (V3) Rating. ASP are proud to work closely with these companies to achieve these requirements. Steel Cementitious HPL Rigid Grid System with a 4.5kN loading at 150mm FFH. Steel Cementitious HPL Rigid Grid System with a 6.0kN loading at 150mm FFH. Calcium Sulphate Interlock System at 150mm FFH. 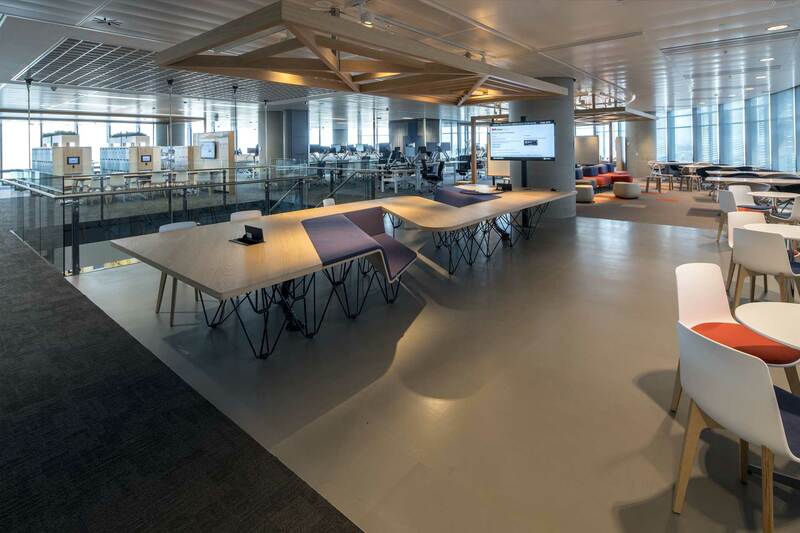 Greater adaptability from 150mm access floors allowing easy reconfiguration of work areas for fit out flexibility and connectivity. Designs for International Towers Sydney to achieve a minimum 5 Star NABERS Energy rating and 6 Star Green Star Office Design and As Built (v3) ratings.